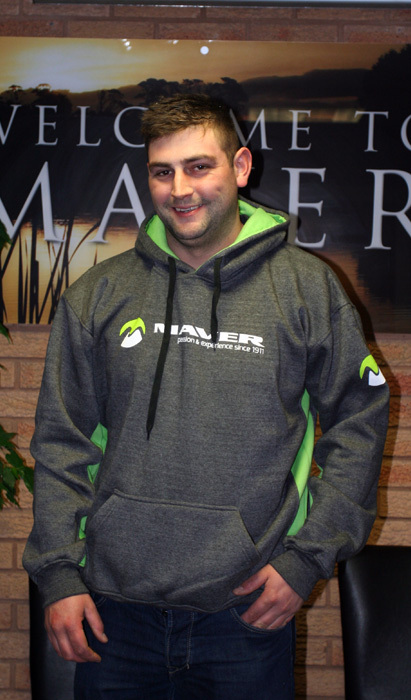 We are delighted to announce that Matt Derry has signed a sponsorship deal with Maver (UK). The England International has recently signed a twelve month deal and is the latest ‘A list’ angler to join a continually evolving front line of Maver anglers to help continue take the brand forward. Matt has fished at the sport’s top level since the age of 16 having accumulated numerous team medals at all age categories with the England squad both on the World and European stage and is sure to bring a wealth of knowledge and experience to the team. Fishing from an early age, Matt cut his teeth on the Midlands canal circuit before being selected for England at thirteen (13) years old. Matt worked his way through the ranks before making his debut appearance at senior level in 2016 on the Home National event held on the Newry Canal in Ireland – an event Matt would go on to receive both individual and team gold. As well as boasting a decorated career at International level, Matt is also an accomplished angler on the domestic match scene where he favours silver fish fishing on natural venues. Matt is a two times Sensas Canal Championship winner securing victory both in 2016 and 2017 as well as a three time RiverFest finalist. Matt is the latest in a series of high profile anglers that have recently pledged their allegiance with Maver (UK) and there is more still to come! “I’m really looking forward to working with Maver. The brand as a whole has gone through a massive transformation over the last couple of years and, with some many new products in the pipeline, it’s a fantastic time for me to join and to further my angling career. It’s clear to see that Maver is going places, and I’m excited to be joining at a time when everything is on the up. I’m really looking forward to having some input as far as products are concerned and also relish the opportunity to stay at the top of the match fishing scene at home and abroad with the backing of someone like Maver“. “I have fished alongside Matt for a long time at domestic level with Kamasan Starlets and on the International circuit. He has a very promising future ahead of him and I feel he is a worthy acquisition for the brand. I look forward to working with him“.